Life Coaching Tips: Are You Holding Yourself Back? “You are your own worst enemy”. We’ve all heard this phrase, and the more I observe myself, the more I find it to be true. It can be easy to be afraid, confused, doubtful, or conflicted. Sometimes the idea of failure prevents us from taking action. Sometimes the idea of success is too overwhelming to consider. Sometimes, it’s simply easier to stay in our comfort zone. Almost everyone limits themselves in some way, and most life coaching tips will address different methods to resolve this piece by piece. 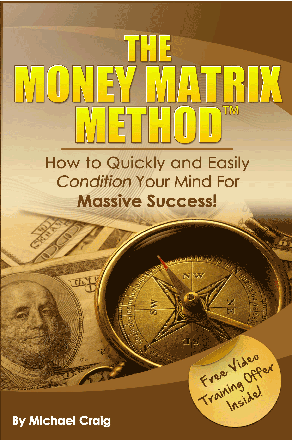 I’ve read about EFT, NLP, affirmations, and many other methods. But the more I read about them and use them, the more frustrated I become. They feel like bandages that never really reach the root of the issue. 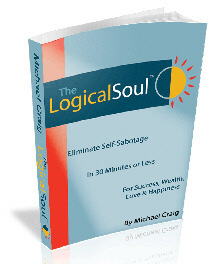 The most powerful yet simple life coaching tip I know is using Dr. Craig’s Logical Soul® Method. By communicating directly with the subconscious, you can uncover the root hidden decisions in your subconscious and resolve them. 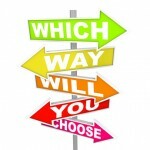 These decisions are often the cause of self-sabotage and inner conflict that can keep you struggling to succeed for years – or even the rest of your life. Naturally, it’s beneficial to change these decisions! However, it’s important to work with your conscious mind as well. After all, the goal is to bring your conscious and subconscious mind into alignment. I’ve had many Logical Soul® coaching sessions with Dr. Craig, and sometimes the hardest part is convincing myself (my conscious mind ) that the hidden decision has changed. I question and doubt everything, no matter how much I wish I wouldn’t. This habit is due, in part, to my overactive intellect. My strength sometimes becomes my weakness . . . I tie my mind in knots with analysis, and forget to let go and just feel, experience, and enjoy. Over time I’ve come to learn that setting my mind and intellect aside is necessary to finding peace. Here are some life coaching tips for getting out of your own way. Feel free to use them for yourself or suggest them to your clients. Detach. Step back and take a breath. This is just a situation, a thought, or an emotion. Observe it and fully embrace the fact that it is not you. You are not simply the sum of your experiences, thoughts, or emotions. You are much more than that. Only when you accept this can you approach the situation calmly and effectively. Go with the flow. Fighting against what you don’t like activates the Law of Attraction. You’re going to get more of what you don’t like. Plus, you’re going to feel even worse, because you’re fighting something that is out of your control. This is a losing battle. It’s infinitely more beneficial to go with the flow and make the best of it with a clear head. – You can’t change it by wishing it away. – If it’s dark and rainy it really is dark and rainy and you can’t alter it. – It might be dark and rainy for two weeks in a row. – It will be sunny one day. – It isn’t under one’s control as to when the sun comes out, but come out it will. Trust. Trust comes from the heart, and is the best way to set aside your intellect. Your potential is infinite. You can’t even begin to fathom what you are capable of once you are free of limitations, hidden decisions, and social conditioning. There is a part of you, deep down, that knows all the answers to all of the questions you haven’t even asked yet. And you are a part of the Universe, which is also infinite. Know that no matter how bad things get or how difficult something is, you’ll end up where you need to be each and every moment. Learn what you can, do what you can, and free yourself from limitation more and more every day. When you’re able to let go of fear, doubt, and other negative influences, things will naturally improve. 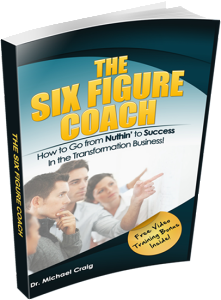 These life coaching tips coupled with the Logical Soul® process can change your life forever. 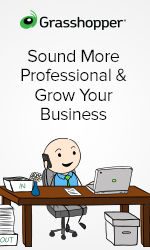 Dr Craig’s free report for coaches has even more life coaching tips to avoid common mistakes and keep your business running smoothly. Check out how you can get of your way and on the track to success. How do you handle conflict and struggle in your own life, or with life coaching clients? Please share your insights below!